The decentralization of control over the vast forests of the world is moving at a rapid pace with both positive and negative ramifications for people and forests themselves. 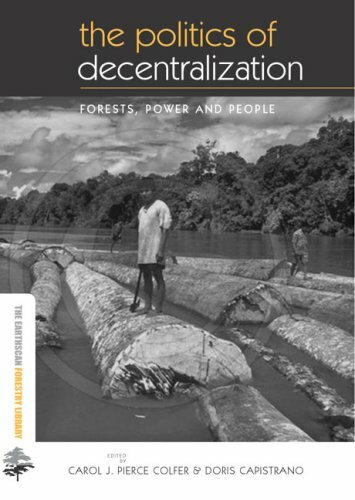 This new book, by leading researchers from the Center for International Forestry Research (CIFOR), presents the latest research into decentralization in the forests of Asia and the Pacific, unraveling the complex issues at stake. Fresh research from a host of Asia-Pacific countries including India, Nepal, China, Korea, Indonesia, Laos, Malaysia, Philippines and Vietnam among others, presents the authors’ rich and varied experience with decentralization and provides important lessons for other regions. The book begins with historical and geographical overview chapters, proceeding to more in-depth coverage in the region’s countries. Research findings stress rights, roles and responsibilities, on the one hand, and institutions including organization, capacity building, infrastructure and legal aspects, on the other. 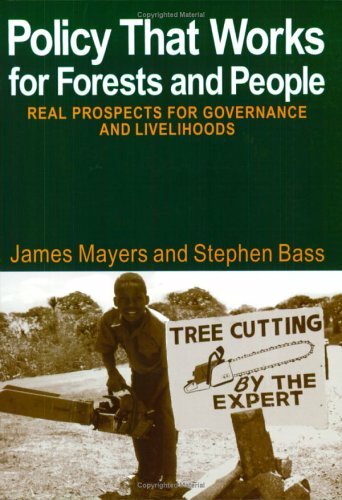 With these overarching themes in mind, the authors take on many controversial topics, examining inclusiveness in decision-making, justice and equity, criminal activity such as illegal logging and corruption, land use including rehabilitation and tenure, policy-practice gaps, community forestry, implications for household economies and environmental impacts such as fire. 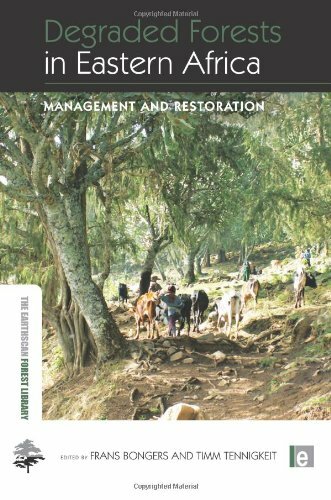 Several authors also address practical challenges related to financing and reinvestment in sustainable forest management under decentralized governance. Particular efforts have been made to examine decentralization at various scales from local to national and to address gender issues, which have previously been largely ignored in the decentralization discussions. 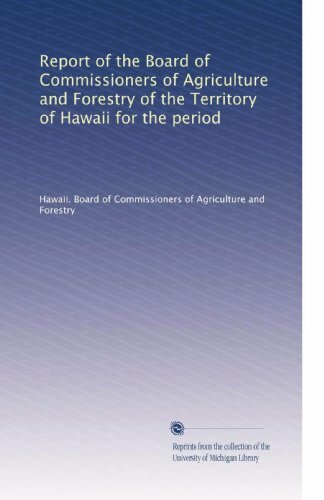 The result is a unique examination of decentralization issues in forestry with clear lessons for policy, forest management, research, development and conservation in forested areas across the globe from the tropics to temperature regions. Private sector delivery of state services is increasingly common worldwide and state forest plantation management is no exception. Increasingly governments are transferring rights and responsibilities to the private sector for state-owned plantations. Some claim that this road will achieve sustainable forest management, greater contributions to local livelihoods and poverty reduction. Others disagree. Forests and forest lands around the world are a source of livelihoods for hundreds of millions of people. Contests over control and use of these forest resources are increasingly acute, and nowhere are they more intense than in South Asia. 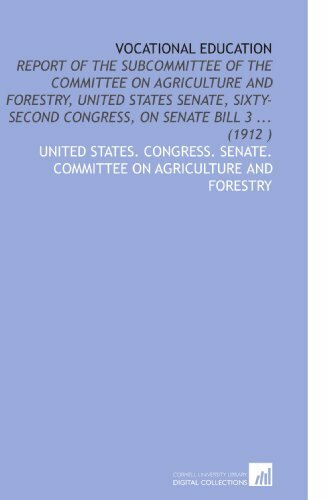 Although state forest administration is recorded in the earliest historical texts of the region, since the colonial period forest departments have extended and intensified scientific forest management in order to generate greater flows of timber and revenue, constructing policy in terms of colonial and later national development rather than as serving the public good. The impact on the use local people make of the forest for their livelihoods has been so negative that persistent civil unrest has ensued in many areas. 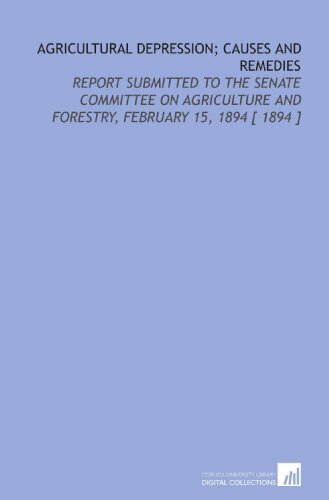 In recent decades participatory approaches to forest management have been introduced around the world. 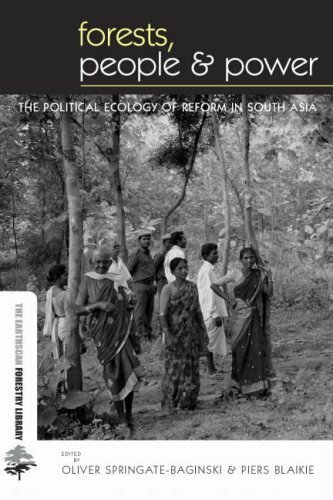 This book assesses their implementation in the highly politicized environments of India and Nepal. The authors critically examine the policy, implementation processes, and causal factors affecting livelihood impacts. Considering narratives and field practice, with data from over sixty study villages and over one thousand household interviews, the book demonstrates why particular field outcomes have occurred and why policy reform often proves so difficult. 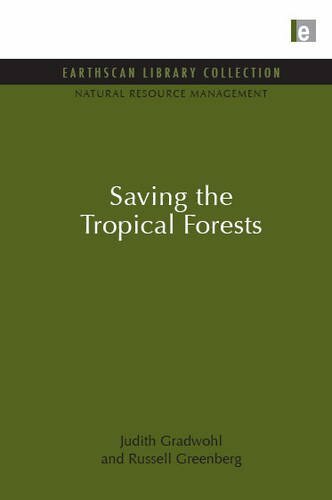 Forest degradation as a result of logging, shifting cultivation, agriculture and urban development is a major issue throughout the tropics. It leads to loss in soil fertility, water resources and biodiversity, as well as contributing to climate change. Efforts are therefore required to try to minimize further degradation and restore tropical forests in a sustainable way. 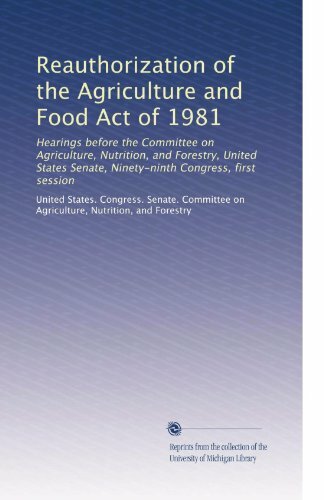 The devolution of control over the world's forests from national or state and provincial level governments to local control is an ongoing global trend that deeply affects all aspects of forest management, conservation of biodiversity, control over resources, wealth distribution and livelihoods. This powerful new book from leading experts provides an in-depth account of how trends towards increased local governance are shifting control over natural resource management from the state to local societies, and the implications of this control for social justice and the environment. 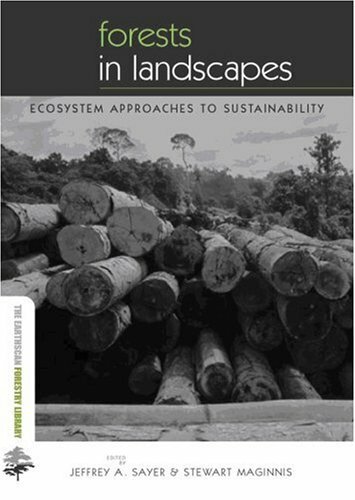 The book is based on ten years of work by a team of researchers in Malinau, Indonesian Borneo, one of the world's richest forest areas. The first part of the book lays the theoretical framework and larger context in which changes in state and society relations have occurred and examines the theory of “state-in-society”, and the implications of this theory for decentralization's impact on power struggles between the state and society. Part two covers in detail how the devolution process has occurred in Malinau, the policy context, struggles and conflicts and how Malinau has organized itself. The third part of the book looks at the broader issues of property relations, conflict, local governance and political participation associated with decentralization. 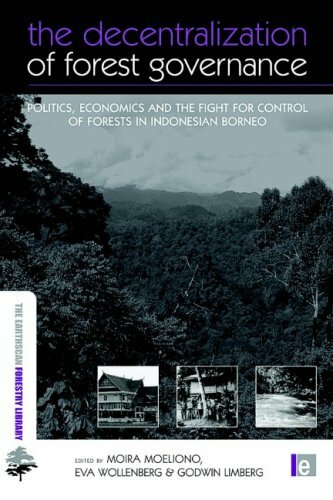 Importantly, it draws out the salient points for other international contexts including the important determination that cultural alliances, especially among ethnic minorities, are taking on greater prominence and ethnic minorities are finding new ways to influence forest policy in the world's richest forests. 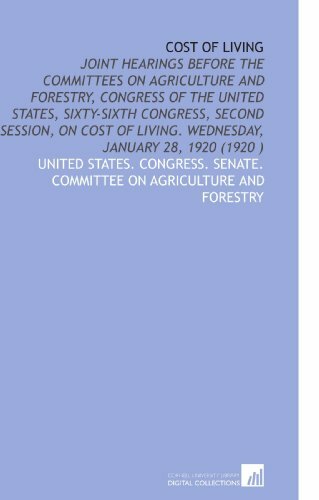 Forestry issues vary from place to place but the pattern of forest problems is common to most countries – loss of natural forests, centralized control, inequitable access, lack of information and resources, and ossified institutions. Policy is at the root of most of the problems. Behind the headlines about the loss of tropical forests in Latin America lies a complex and fascinating story of the social pressures which cause it. 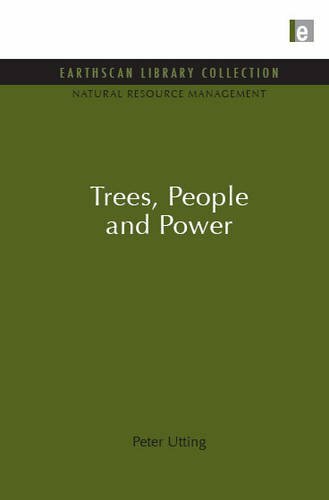 Trees, People and Power looks at the various groups, interests and conflicts involved, and explores the repercussions for forestry, the environment and the livelihoods of the rural and urban poor. This book provides a vision of hope: in Latin America. Africa. 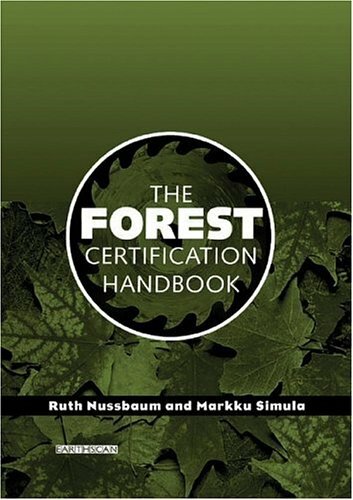 And South East Asia, growing numbers of people are developing techniques specifically designed to promote the wise use and preservation of remaining forest lands. However, these grassroots strategies are often ignored in favour of grandiose schemes which inevitably fail. This pattern must be broken now or the tropical forests will be lost forever. Tropical rain forest is being cleared so rapidly and on such a scale that it is a major global environmental problem, threatening the survival of half of the world's plant and animal species and contributing to global climate change through the greenhouse effect. But, despite widespread concern for over twenty years, only limited progress has been made in controlling deforestation and improving forest management in the humid tropics. 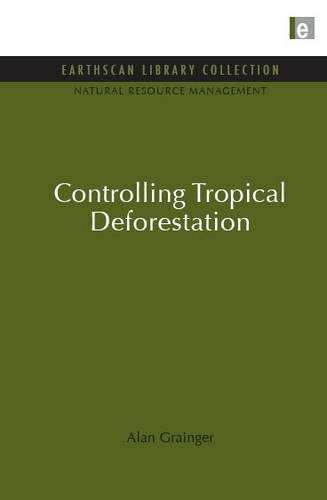 In this book, Alan Grainger offers afresh analysis of the causes of deforestation and presents an integrated strategy for controlling it. 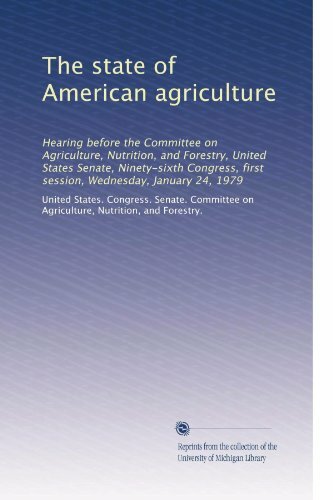 His strategy embraces agriculture, forestry and conservation and stresses the need for changes in government policies if land use is to be made more sustainable and the underlying causes of the problem are to be addressed.